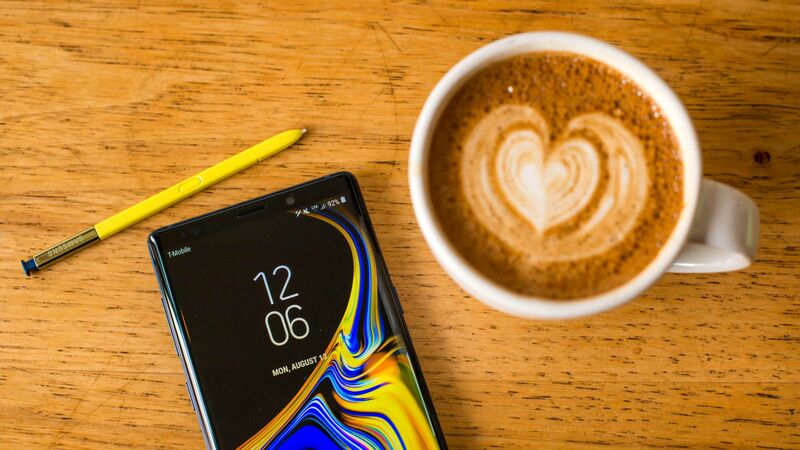 If your looking for the best wallet cases for galaxy note 9 we have 5 top picks. These types of cases are great for holding cards and cash at the same time. They allow you to leave your wallet at home, and also provide some of the best protection possible. This is mainly because you will be getting full coverage on the front, back, and sides of your phone when using one. Without anymore chit chat lets get right into this list. 1. 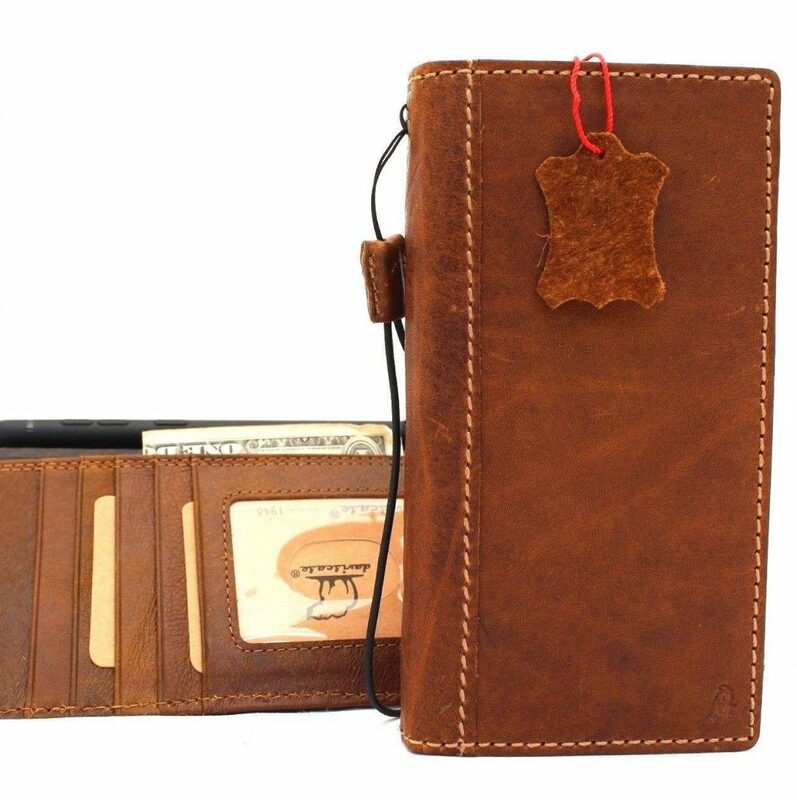 Our first top pick is a genuine leather case from Shop Leather. These guys have been making some of the most beautiful real leather for cases for years. This one is super sharp, comes in a tan / brown color with 6 pockets for holding cards, an open id slot for a drivers license, and can be folded into a standing position. This is a high end leather case that will cost around $35, and definitely worth every penny. 2. 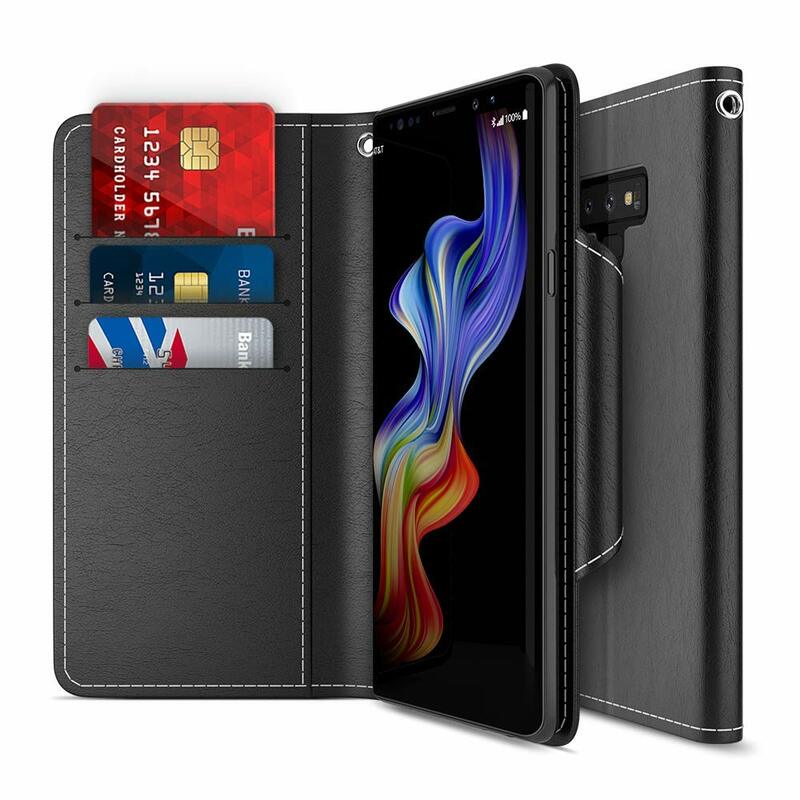 Another one of the best wallet cases for galaxy note 9 comes from iPulse. This is a genuine Italian leather case that comes in both black and tan. It will provide 3 slots for credit cards / ids, has a built in hard case to keep your phone in place, and a side pocket for cash. It has a nice stitched design which you can see on both its front and backing. It will provide some nice drop protection, and currently costs around $30. 3. If your looking for a synthetic leather case the Spigen Wallet S is a great option. The thing about synthetic leather is that it tends to wear out faster than real leather, but if you plan on using this case for less than a year you shouldn’t have any problems. It currently comes in black, has a magnetic clasp for easy opening and closing, and 2 slots for cards. It has a built in hard case to keep your phone in place, and a nice budget price of only $15. 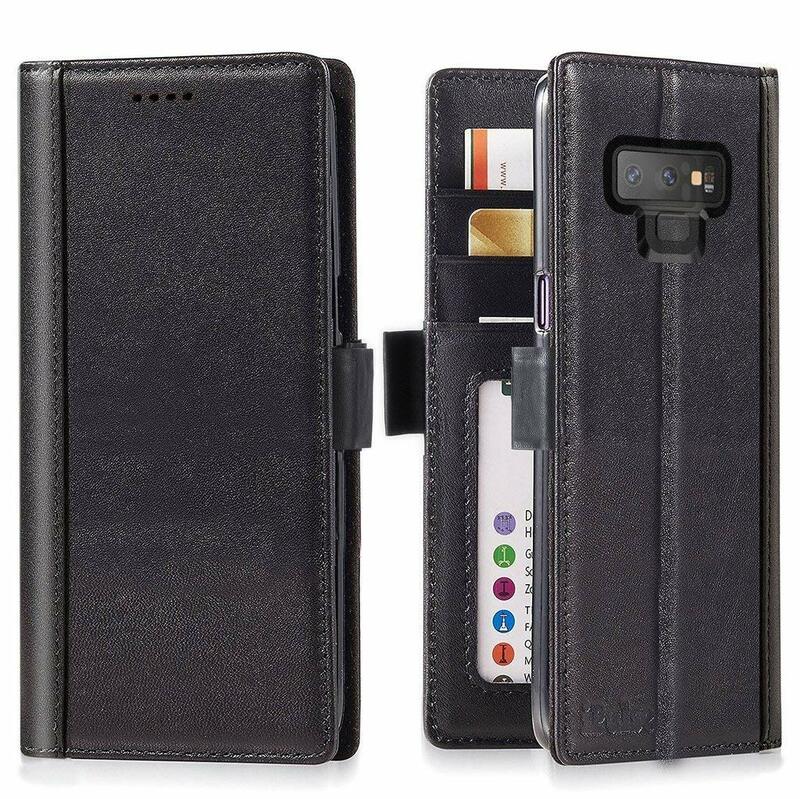 You cannot deny that Shop Leather makes some of the best wallet cases for the galaxy note 9. This is another real genuine leather book design that comes in red. It has an easy to open clasp, 6 slots for credit cards / ids, and a side pocket for holding cash. It also has a kick stand feature that will allow you to prop your phone upright. It will provide some very nice drop protection since it will be completely covering your phone, and will cost right around $35 as well. 5. 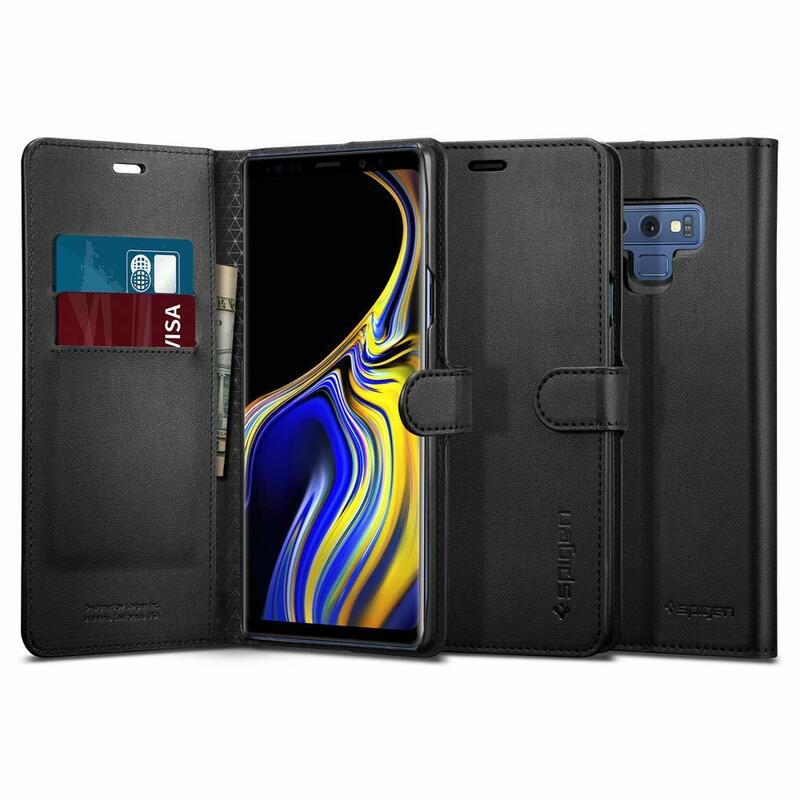 The last best wallet case for the galaxy note 9 goes to Maxboost. 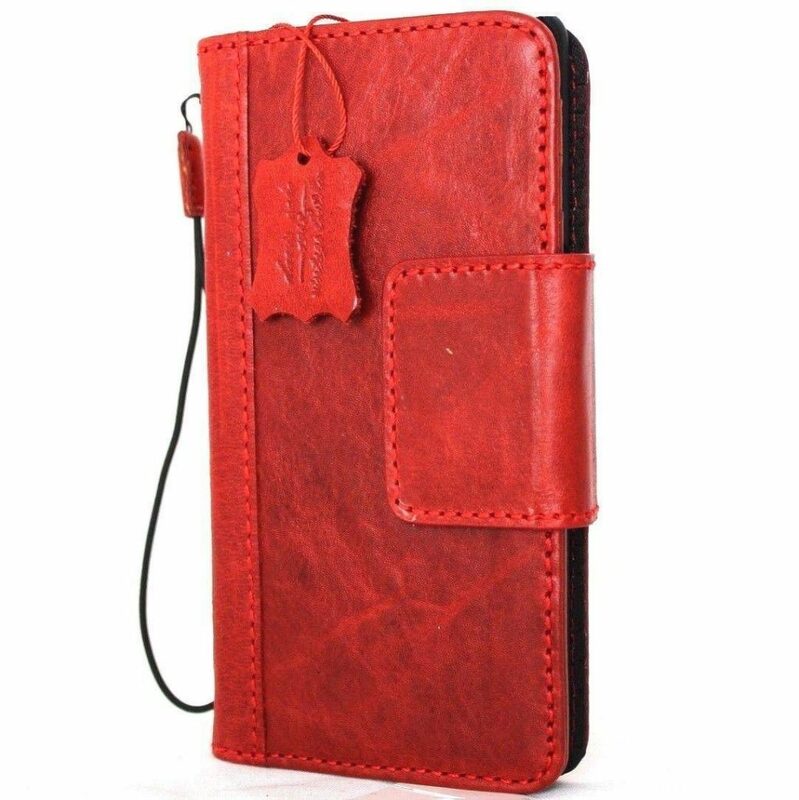 This is another synthetic leather case with a super budget friendly price tag of only $10. It currently comes in black, has 3 card slots, and a magnetic clasp for easy opening / closing. You can also use this as a kickstand, and will be given a lifetime warranty if you decide to go with it.